Bujias Originales Porsche Referencia 955 170 219 90. Validas para Cayenne (2004 - 2007) 3.200 c.c. Precio por unidad. Defender (L316). NGK has been developing spark plug technology since the 1930s and manufacture plugs for every type of automotive engine, as well as for motorcycles, marine, horticultural, plant and many other applications. These Beru spark plugs are compatible w ith the following Porsche vehicles 6 x Beru Ultra spark plugs. Boxster (986). 3.4 Carrera 301bhp // 3.4 Carrera 4 301bhp. 3.4 Carrera 320bhp // 3.4 Carrera 4 320bhp. Type:- Z129. If you are unsure of the part number you need the Beru Part-Finder can be found at. Convertible 3.4 Carrera 3387cc 6cyl. 221kW 02/98 - 09/01. Porsche 911. 235kW 05/01 - 08/05. 7 Series (E23) 77 - 86. These Bosch plugs are compatible with the following BMW & Porsche vehicles 6 x Bosch Super 4 spark plugs. 323i 143bhp (78 - 82). Porsche 911 including Convertible. 528 165 & 170bhp (75 - 78). Boxster (986). A6 (97 - 01). Set of 6 x Bosch Super 4 spark plugs. 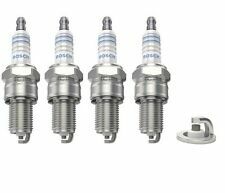 These Bosch plugs are compatible w ith the following vehicles These high-performance spark plugs operate based on the state-of-the-art surface air-gap principle. 3.6 GT2 RS 620bhp. 3.6 GT2 530bhp. 911 Convertible (997). These Bosch spark plugs are compatible with the Porsche vehicles below 6 x Bosch Double Platinum Spark Plugs. Bosch Double Platinum Thread Pitch: 1,25 mm. S8 Quattro 360bhp. S6 Quattro 340bhp. Cayenne (02 - 07). A8 (99 - 02). These Bosch plugs are compatible w ith the following Audi & Porsche vehicles A6 (99 - 05). 8 x Bosch spark plugs. Projection Type. Boxster (986). 911 (996) Coupe. 911 (996) Convertible. 911 (996) Targa. 3.4 Carrera 301bhp // 3.4 Carrera 4 301bhp. 3.6 Carrera 320bhp // 3.6 Carrera 4 320bhp. 3.6 Carrera S 345bhp // 3.6 Carrera 4S 345bhp. 4.9 S 288bhp // 4.9 S / S4 320bhp. 5.0 S4 CAT 320bhp // 5.0 GT 330bho // 5.4 GTS 350bhp. Set of 4 x Bosch Super 4 spark plugs. 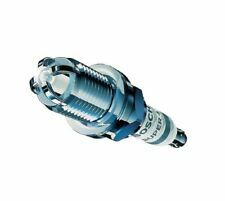 These Bosch plugs are compatible w ith the following vehicles These high-performance spark plugs operate based on the state-of-the-art surface air-gap principle. Jaguar XJR (X308). VW Touareg. Cayenne (9PA). 8 x Denso TT Spark Plugs. These spark plugs are compatible with the following vehicles 4.2 V8 310bhp. Plugs available for all applications. Improved cold starting. Cayenne (9PA / 02 - 07). These Bosch spark plugs are compatible with the Porsche vehicles below 8 x Bosch Double Platinum Spark Plugs. Bosch Double Platinum Spark Position: 3 mm. Thread Length: 19 mm. Cayenne (9PA). Cayenne (92A). These Bosch spark plugs are compatible with the Porsche vehicles below 8 x Bosch Double Platinum Spark Plugs. Bosch Double Platinum Thread Pitch: 1,25 mm. Tightening angle: 90 °. Data from the Beru catalogue is as follows. PORSCHE 911 (964). PORSCHE 999 170 195 90 / 999 170 220 90. PORSCHE 911 (993). PORSCHE 911 (996). PORSCHE 911 /Convertible (996). PORSCHE BOXSTER (986). Set of 8 Beru Ultra Spark Plugs. These Beru spark plugs are compatible w ith the following vehicles Land Rover. Discovery I (89 - 94). Range Rover Classic (85 - 91). Range Rover MK.II. SPARK PLUG SPECIFICATION. 6 x Denso TT Spark Plugs. These spark plugs are compatible with the petrol vehicles in the above compatibility table. These high-performance spark plugs operate based on the state-of-the-art surface air-gap principle. It is the first spark plug with four thin ground electrodes and a sharpened, silver-plated central electrode. These Bosch spark plugs are compatible with the Porsche vehicles below 6 x Bosch Double Platinum Spark Plugs. Bosch Double Platinum Thread Pitch: 1,25 mm. Spark Position: 4 mm. Tightening angle: 90 °. 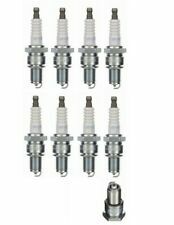 6 x NGK - BKR6EQUP Platinum Spark-Plugs BMW, Audi, Porsche etc. Type:- BKR6EQUP. ARNAGE 4.4 BMW 09/99 –> 01. ARNAGE 4.4 BMW / GREEN LABEL 09/99 –> 09/00. SILVER SERAPH 5.4 V12 BMW 09/99 –>. RANGE ROVER 3 4.4 BMW M62 01/02 –> 04/05. AERO 4.4 BMW V8 01 –>. Cayenne (03 - 07). 6 x Bosch Double Platinum Spark Plugs. A3 (03 - 09). TT (03 - 06). TT (06 - 10). These Bosch spark plugs are compatible with the petrol vehicles in the above compatibility table . These Beru spark plugs are compatible w ith the following Porsche vehicles 6 x Beru Ultra spark plugs. Boxster (986). Corrugated Ribs Prevent Flashover. 6 x NGK Iridium Spark Plugs. Cayenne (03 - 07). These NGK spark plugs are compatible with the petrol vehicles in the above compatibility table A3 (03 - 09). TT (03 - 06). NGK Spark Plugs IZKR7B 7563 x6 Fits PORSCHE CAYENNE 3.2l. You’ll enjoy more horsepower, faster and easier starts, fewer misfires under heavy loads, plus better fuel efficiency. Normally, this can be accomplished by widening the spark gap. As a result, acceleration improves in comparison with normal plugs. PORSCHE 99917022390. PORSCHE CAYMAN (987) 2.7 Coupe Petrol 07/2006 12/2009 RWD 24 245 180. PORSCHE CAYMAN (987) S 3,4 Sport Coupe Petrol 08/2008 12/2012 RWD 24 303 223. PORSCHE CAYMAN (987) S 3.4 Coupe Petrol 11/2005 12/2009 RWD 24 295 217. 1 SET = 6 piezas Spark WR4CC. Porsche 911 3.2 Carrera. Fabricante: BOSCH. Marke Bosch. Adecuada para. 6 x PORSCHE 911 3.6 unipart spark plugs. (BOSCH INSIDE BOX). Denso TT or twin tip spark plugs are a low cost upgrade for standard copper plugs. Outstanding value for money and a worthwhile upgrade. Image for illustrative purposes only. Porsche Cayenne 955 SUV 3.2 03-07, to construction year: 12/2006. Bosch Short Code: FGR6KQE. Model: Boxster 3.2 S. BOSCH SPARK PLUGS > SUPER. Make: PORSCHE. Plug Type: Super. Part Type: Spark Plug. Warranty Period: Manufacturer Warranty if applicable - See Bosch website for more details. Manufacturer Part Number: IZKR7B. Engine Type: BFD. NGK SPARK PLUGS FOR CARS > NGK LASER IRIDIUM SPARK PLUGS. Model: CAYENNE. Product Version: LASER IRIDIUM. Centre Electrode Material: IRIDIUM. Make: PORSCHE. Thread Pitch 1.25 mm. Spark Position 4 mm. Function Spark Plug. PORSCHE 99917022890. Outer thread 14 mm. BOSCH FR6NPP332. Thread Length 26.5 mm. 360 degree product illustration. PORSCHE 99917023290. PORSCHE 911 (997) 3.6 Carrera Coupe Petrol 06/2008 12/2011 RWD 24 345 254. PORSCHE 911 (997) 3.6 Carrera 4 Coupe Petrol 06/2008 12/2012 AWD 24 345 254. PORSCHE 911 (997) 3.8 Carrera 4 GTS Coupe Petrol 06/2009 12/2012 AWD 24 408 300. Codice ricambio originale OE/OEM DR14YS. MPN DR14YS. Altro codice identificativo DR14YS. Porsche Cayenne Turbo 4,5 331 M 48.50 09.02-01.07. Porsche Cayenne Turbo 4,5 368 S M 48,50 01.04-01.07. Porsche Cayenne Turbo 4,5 383 03.06-01.07. Type:- FR5DTC. 911 3.6 Carrera 2 (964) M64.0. 09/1989 - 08/1993 184 kW 6 Cylinder Duel Ignition. 911 3.6 Carrera 2 RS (964) M64.03 08/1991 - 09/1993 191 kW 6 Cylinder Duel Ignition. 911 3.6 Carrera 4 (964) M64.01 09/1989 - 08/1993 184 kW 6 Cylinder Duel Ignition.